The new car comes with a different interpretation of the two-tone concept, one that first appeared on the Bugatti Veyron Grand Sport Sang Bleu. This time, the car features dark grey carbon fibre, framed whilst the bottom part of the car is finished in polished aluminum. The lower intakes are now polished in order to create a brilliant shine while the rims are the same as those on the Bugatti Pur Sang, with Ebony Pearl inner sides and a Diamond Cut face. Inside, the car features a silver colour on the dashboard, centre console, seats and interior trim panels. As the Grand Sport Blue Carbon, this car was sold too for an impressive 1.65 million euros (ex works). Photo gallery after the jump! 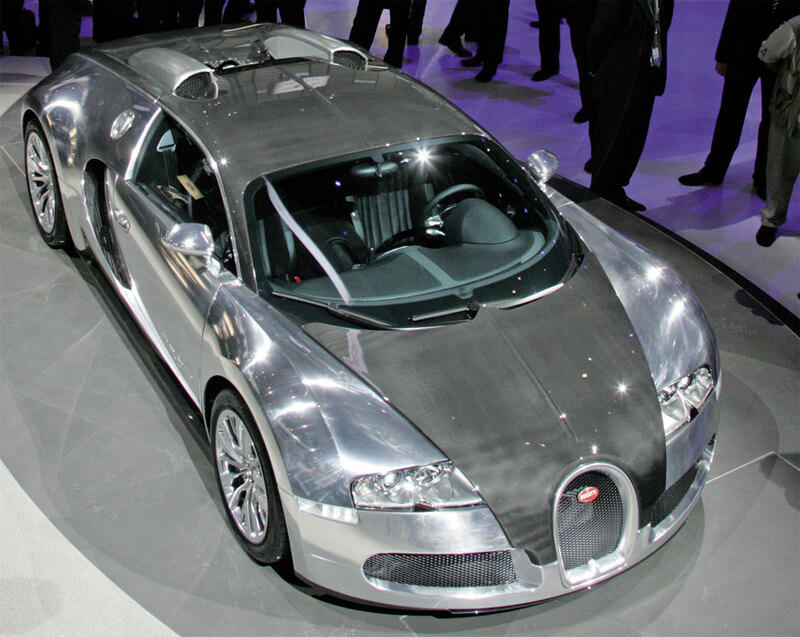 This entry was posted on Friday, March 5th, 2010 at 9:08 pm and is filed under 2010, 4wheels News, Auto Shows, Automakers, Body style, Bugatti, Categories, Convertible, Europe, Geneva Motor Show, Supercars, Year, Zone. You can follow any responses to this entry through the RSS 2.0 feed.